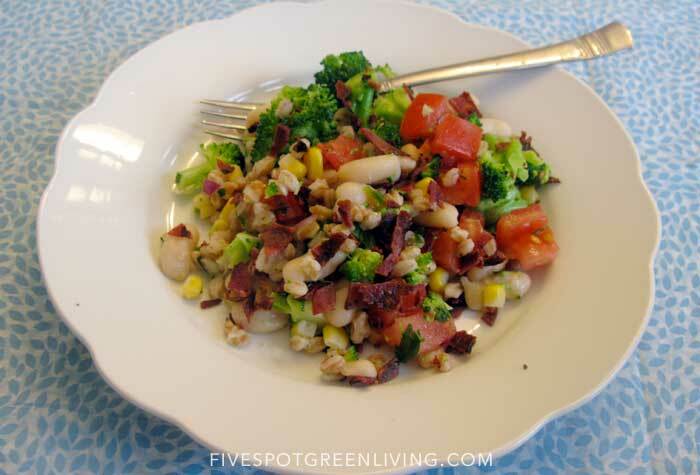 This week’s healthy recipes includes a white bean and farro salad. When I make a salad, I like it to be hearty and at least include some cheese for protein. We always have farro in the house and I am trying to find ways to incorporate it into our diets on a weekly basis. Farro is of the wheat family, so farro is unsuitable for those with celiac disease, gluten intolerance or a wheat sensitivity or allergy. But if you can eat it, farro a great reliever of tension and cramps because farro is rich in magnesium. It also is very high in vitamins B and E and is packed with protein and fiber (twice that of wheat). 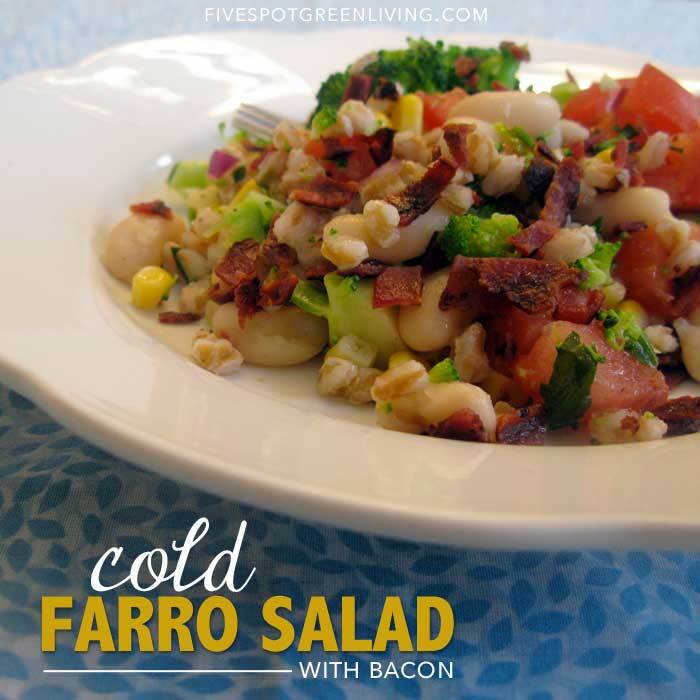 Farro makes some really delicious healthy recipes – I recommend soaking it in water for at least an hour before cooking. My father-in-law has diabetes so I am always trying to find healthy recipes that he will enjoy that I can also serve the kids. It’s not always easy and sometimes (most of the time) I only end up making one end happy. But this salad was really good for my father-in-law to eat and he had it for a few days with his other meals. Cook the farro, and beans if using dried, in a separate pot. Mix the dressing ingredients and adjust to taste. I don't like a ton of dressing on my salad! 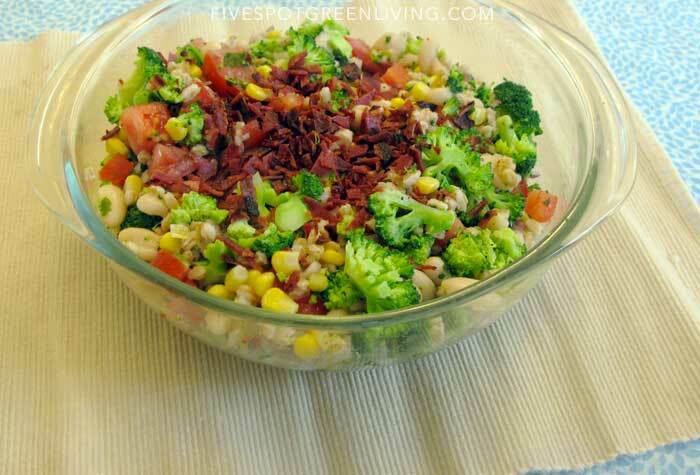 Combine dressing with salad ingredients and toss. Serve. Enjoy! What do you think of this farro recipe?